So, what’s the perfect remedy for another monotonous Monday? No, it’s nothing with a high ethanol content. What you need is a dose of Hare Squead, the charming trio of twenty-something year olds based in Dublin. 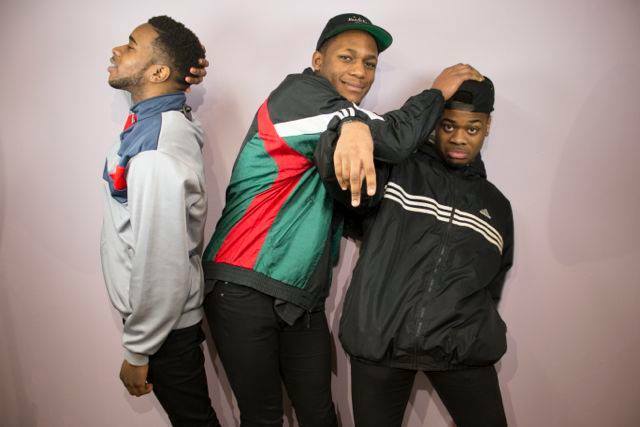 Describing themselves as ‘three black Irish kids making waves’, this is a band that’s unashamedly mixing things up on the Irish music scene. Hailing from Tallaght and Blanchardstown, their sound is an invigorating mix of RnB, hip-hop, soul and pop- inarguably it creates an incredibly fresh sound but with natural expression. Their beginnings are just as exceptional as their sounds: rappers, Tony Konstone and E-Knock met singer Jessy Rose, while skateboarding in a park and started writing together shortly after. They began playing around, incorporating their love for Chance the Rapper and De La Soul into their sound and making it their own. However, what really earmarks them is the distinctly Irish twist to their rapping and RnB- giving a soothing undertone to the overall sound. In saying that, their latest single release, ‘Pure’ is another transition for the band. The track draws on more soulful elements for the band, there’s an undoubtedly more sombre element to the track but it doesn’t weigh one down. In fact, this progression in their music shows that these boys aren’t a one trick pony, their sound is constantly in a state of transition and development. In an interview with FADER, the band admitted that this was a departure from their typical style. So, what’s new for Hare Squead? Well, they play their first UK headliner show on the 26th of July. However, if you’re not willing to make the trip then check-out their single, ‘LOCO’ which is the perfect spritz of energy for a Monday.